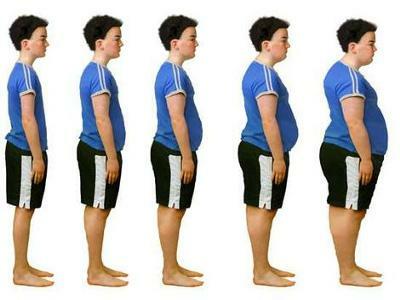 Link between child obesity and allergies? As if overweight kids and teens didn't have enough to worry about. A new study had found a possible link between child obesity and allergies. There are already many reasons to be worried about child obesity - bigger risk of heart disease, Type II Diabetes and bullying. Now there may be another reason for concern. A new study has found that being obese could make children more prone to allergies. It's published in the May issue of the Journal of Allergy and Clinical Immunology and shows that obese kids and teens have a bigger risk of having some kind of allergy, especially to a food. "We found a positive association between obesity and allergies," said Darryl Zeldin, M.D., acting clinical director at the National Institute of Environmental Health Sciences and senior author of the paper. "While the results from this study are interesting, they do not prove that obesity causes allergies. More research is needed to further investigate this potential link," Zeldin said. For more information, visit www.nih.gov. Comments for Link between child obesity and allergies? If only obese children are prone to allergies, why my child who is very lean and just below her average weight is suffering from allergies? I want to know about the best research papers who can answer me with right solutions online. Obesity is the cause of many other things.We should really focus on that when stuffing our kids .or just plain letting them drink fizzy drinks and eat all the candy they want. I agree with what Sue says about the link between food additives and allergies and I think it backs up the link between allergies and child obesity rather than detracts from it. Sure, Sue's girl is not obese, so her food intolerance is not linked to obesity. But the kind of processed food that triggers her eczema is exactly the kind of food obese kids virtually live off. Cut out the unhealthy, processed food and you cure the obesity... and the allergies. I'm not 100% sure about the supposed link between childhood obesity and food allergies. My four-year-old daughter is a tiny slip of a thing, yet she has a terrible allergy to wheat. When she eats white bread she breaks out in really bad eczema. I believe it's a lot to do with the additives and modern processing that goes into food these days. When I was a child, none of my friends had food allergies. These days you'll find several in every class of kids.